Based on Madeleine Flores’ popular webcomic, Help Us! Great Warrior is about a very powerful (but deceptively tiny) Great Warrior who protects her village from evil-doers and looks rad while doing it! Possessing great strength and even greater self-confidence, she’s ready to kick some butts and save everyone, especially hunks/pals/handsome skeletons. But Great Warrior has a secret...and will her friends stand by her side when they find it out? 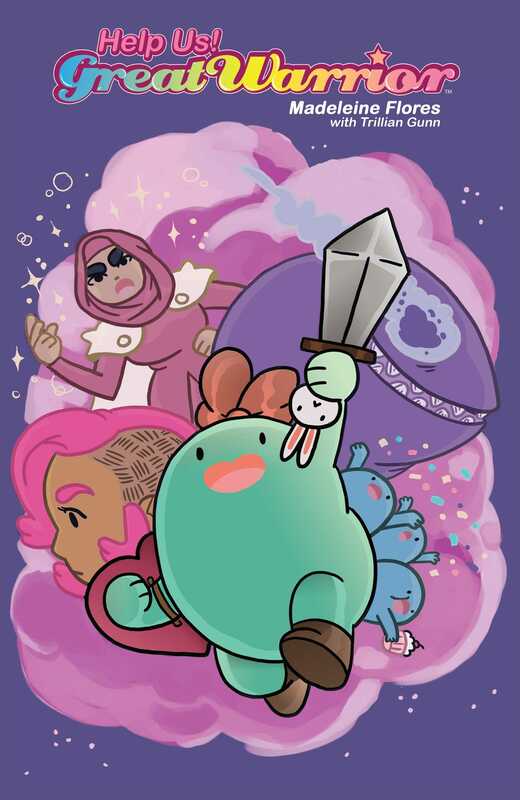 Madeleine Flores’ tale of a smart, hilarious, and intensely capable little warrior has a unique sense of humor and manga-influenced look and feel, along with a great message for young readers. Excellent for fans of SMILE, LUMBERJANES, and EL DEAFO. Book Cover Image (jpg): Help Us Great Warrior!